Please register now for our Spring Clinic. at the Griswold Youth Center at Veterans Memorial Park on Ashland Street in Jewett City. 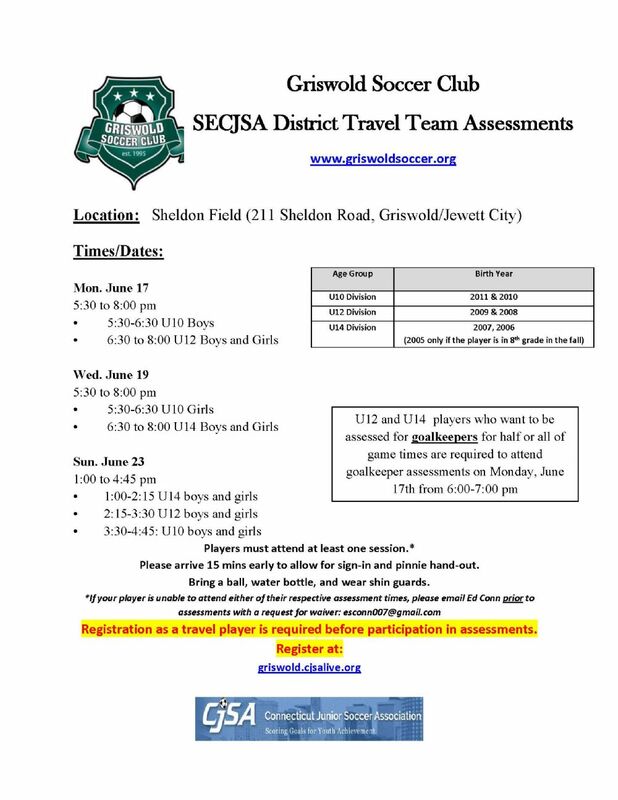 Please consider attending and letting your voice be heard as we plan for another successful year of soccer activities.